The SFPL collection is one of the largest and oldest in Northern California. Subject strengths include census publications for all decennial censuses, economic censuses, statistics, annual reports, legislation, statutes, codes, regulations, treaties, military history, and major publication of federal departments, for example, the U.S. Geological Survey's Professional Papers or the U.S. Bureau of Labor Statistics Bulletin. 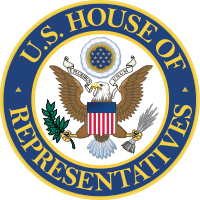 Congressional publications include extensive holdings of the Serial Set, hearings and House and Senate reports and documents. The collection is partially accessible to the public in the reference area on the 5th floor but, because of the size of the collection, most documents have to be requested from the staff. Bibliographic access to the collection is available through the classic online catalog. Dianne Feinstein. First elected 1992. Kamala Harris. First elected 2016.